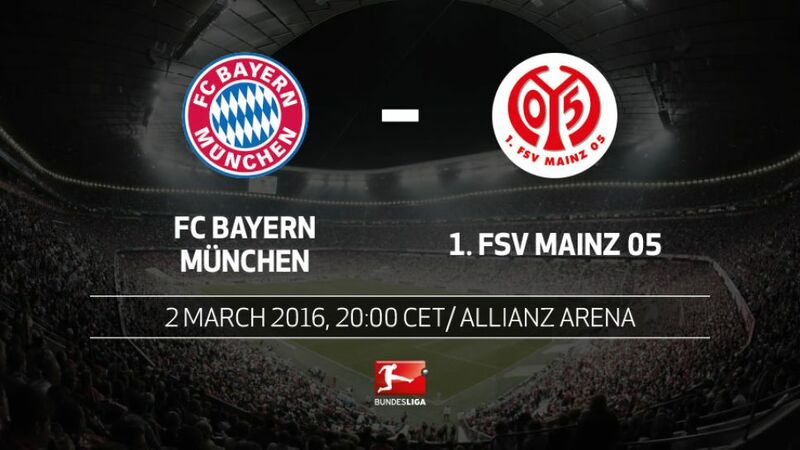 FC Bayern München's push for a fourth straight Bundesliga title continues on Wednesday night when they welcome 1. FSV Mainz 05 to the Allianz Arena (kick-off 20:00CET/19:00GMT). Bayern still have an eight-point advantage over second-placed Borussia Dortmund, whom they meet in Der Klassiker at the weekend, when Pep Guardiola's men hope to have at least as big a margin in their favour. Mainz are, however, one of the league's form teams and, after creeping into contention for a place in Europe next season, four wins in their last five has, at the very least, put them in contention for a top six finish.